This post is a follow up to our letter to President Angel Cabrera of George Mason University regarding private donor transparency at our public university, in which we are specifically concerned about the contracts between GMU and the Charles Koch Foundation. We would like to thank President Cabrera for addressing concerns over private donations and academic freedom at George Mason University. While this response was appreciated, it did not address our recent call for transparency. President Cabrera highlighted the importance of fundraising in order to support George Mason University’s students, faculty, research, and the growth of our campus community. We would like to reiterate the fact that we understand the necessity of outside support, and our intentions are not to criticize the act of accepting private funding. As students at a public university, however, we do expect our administration to be transparent in regards to the contracts and Memorandums of Understanding that are signed in this fundraising process. We appreciate Cabrera’s insistence that George Mason University “would not jeopardize the integrity of our academic programs or forfeit our ability to make our own decisions.” We proclaim that it is time to prove this to be true. As we mentioned in our previous article (page 12), Florida State University gave CKF veto power over the hiring processes of certain faculty and provided the foundation with undue influence over curriculum and teaching. We believe this instance alone justifies the necessity for transparency. Florida State University’s funding from CKF pales in comparison to the donations given to the George Mason University Foundation. Between 2007-2012, CKF contributions accounted for 15% of the Foundation’s total incoming grant revenue. Considering this data and the history CKF has with other schools, we cannot merely accept Cabrera’s word that “our donors, no matter how generous, are not allowed to choose the student who receives the scholarship, the professor that is hired, or the scholarship a faculty member produces.” It is time for concrete evidence. In our ask for protecting academic freedom, we want to ensure that George Mason University and its reputation is not being used to further the business interests of its private donors. If “academic freedom is never for sale,” responding to the concerns of the Mason community should never come at the cost of protecting outside donors. 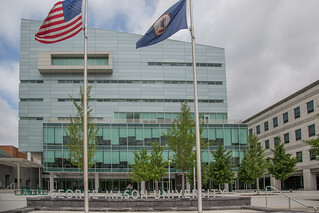 George Mason University must begin taking steps to increase transparency. We reaffirm our request for a meeting with President Cabrera by October 24, 2014. Over Easy: Who Invented Email?